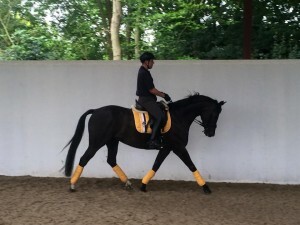 Evita is a 7-y-o, KWPN, black mare by Wynton out of a San Remo mare. Standing 15.2hh she is perfect for a smaller rider, or a rider coming off of ponies. 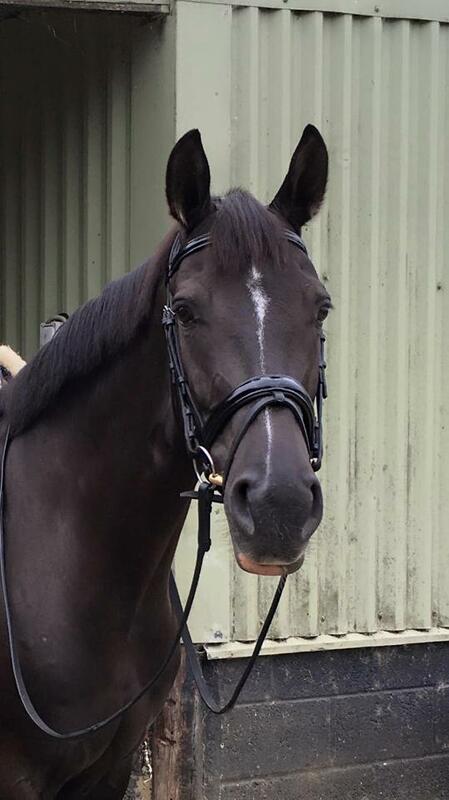 She was bought through us for a client who has now decided to concentrate on eventing for the next season. A very kind, easy horse to do, she is good to clip, box, shoe and travels well. She hacks alone with a competent jockey, is very good in company and has been excellent in all traffic she has met. She competed in Holland prior to being imported by us in April and has been out training to other venues. She has started shoulder-in, leg yield, counter canter. She has a good brain and work ethic, is not spooky and is forward but light in the contact and not strong. She also pops a fence. A video will be available later this week. For more information please call Emma 07843585504.